A specific area of the law has been designated to represent the rights of individuals who were wrongfully harmed in any way through the defects of a product that should not have been put on the market. This area of the law is referred to as product liability. U.S. law specifically addresses the issue of consumer harm through its implementation of product liability law. Under this legislation, retailers, manufacturers, suppliers, and distributors are held responsible for their products when any type of defect surfaces regarding the item. Most often, this area of the law is strictly limited to products that fall under the category of tangible personal property, and it can be categorized in one of several ways: negligence, breach of warranty, strict liability, and consumer protection claims. From state to state, product liability laws will vary, but across the board claims of this nature will require specific components in order to be classified as such. 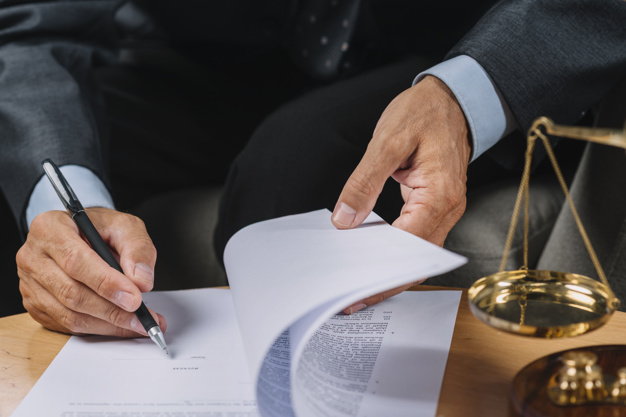 In all types of liability cases, three components will be assessed in order to determine if a person’s situation qualifies under the stipulations provided by product liability laws. First, officials will look to see if there was a manufacturing defect in the product. If it can be proven that poor workmanship or substandard materials used in the manufacturing process of a marketed item, there may be cause for a liability claim. Design defects will also come into play in the investigations of faulty products. Under these conditions, no matter how poorly or well manufactured an item was made, if it was inherently designed with defects there is no blaming the manufacturer for the adverse conditions that resulted. When a product fails to meet standard expectations of safety consistent among consumers of all types, it could be classified as defective in its design. The same is true for products in which the risks outweigh the benefits of using the item. Product liability cases can also be made on claims of failure to warn. Under these circumstances, a product may carry with it non obvious dangers that are inherent in its overall being – completely separate from its design and manufacture. Under these circumstances, the underlying issue lies in the fact that a product’s dangers could have been alleviated if the item had donned the proper warnings on its label. No matter how well a product is designed and manufactured, there certain situations that require adequate warnings to the potential users of the product, and when these warnings do not exist there could be serious cause for concern. In these cases, a product liability claim will almost certainly be in order. As an individual pursues a product liability claim, whether through manufacturing defects, design defects, or breach of warranty it will be essential that negligence is proven. To do so, it must be shown that a duty was owed; the duty was breached in some way or another; the breach in some way caused harm or personal injury to the plaintiff; the breach proximately caused injury to the plaintiff; and quantifiable injuries were sustained as a result of the breach. When all of these can be determined and successfully proven, a plaintiff will be met with the positive results desired in their product liability claim. Located in Connecticut, McCoy & McCoy is a personal injury law firm dedicated to serving the rights of victims throughout the state. For all of your legal needs, you should turn to none other than the professional team at this law office, for here you will be met by a Connecticut personal injury attorney with more than 40 years of experience and a wealth of knowledge. Residents throughout Connecticut, including Hartford, Vernon, New Haven, Waterbury, and New London, can find the personal assistance they need when they contact the McCoy & McCoy law firm.